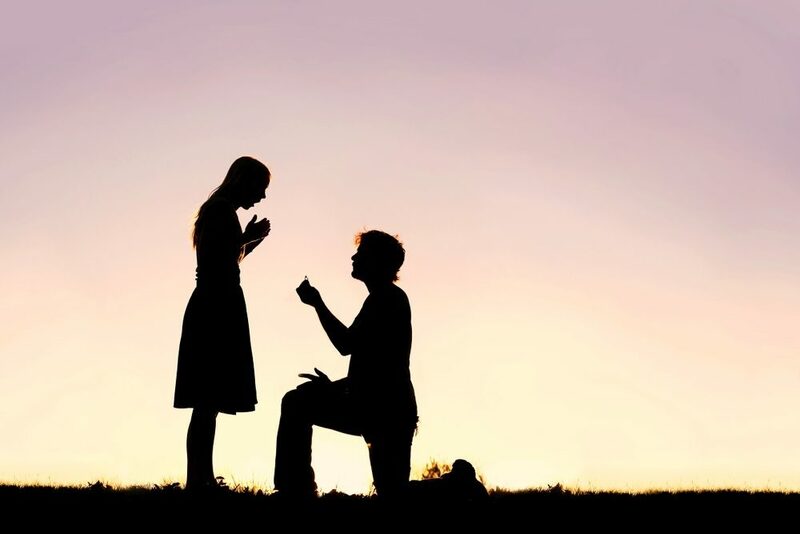 When someone is preparing to pop the question to their significant other, it’s undoubtedly an exciting time. It can also be quite nerve wracking, as there is so much to plan, it’s a big secret to keep, and it can require some serious sleuthing. One thing that’s always tricky to figure out is the correct size ring to purchase. For that reason, here are some creative ways to find out your significant other’s ring size to use when you’re preparing to make that once-in-a-lifetime purchase! An easy way to find out someone’s ring size is to borrow a ring that they already own and match the size. Simply bring it to a local jeweler so that they can size it. Although this may not be the exact size of one’s ring finger, as they may wear it on a different finger, it’s probably pretty close. To avoid sneaking the ring away for a day or so in fear of being caught, another option is to trace the outline of the ring on a piece of paper. A jeweler should be able to get a pretty accurate size based off of that. Keep in mind, the dominant hand tends to have slightly bigger fingers, which is important to consider in sizing a beautiful engagement ring. Asking a friend or family member if they know the coveted ring size. Of course, be sure to ask someone that is capable of keeping a pretty stellar secret. If they’re not sure of the size off the top of their head, perhaps they can find a way to sneak in the question the next time they’re out shopping with this lovely lady. Use costume jewelry to get the necessary information. Find something cheap and use it as a way of having her try it on to find her ring size. Of course, be sure to note the size when this ring is purchased so that it’s useful in guessing the right size after she tries it on. Talk about doing it on the sly! This could also help to acquire some useful information about her preferred jewelry style that will be helpful in engagement ring shopping, too. It’s better to purchase a ring that is slightly big than to buy one that is too small. 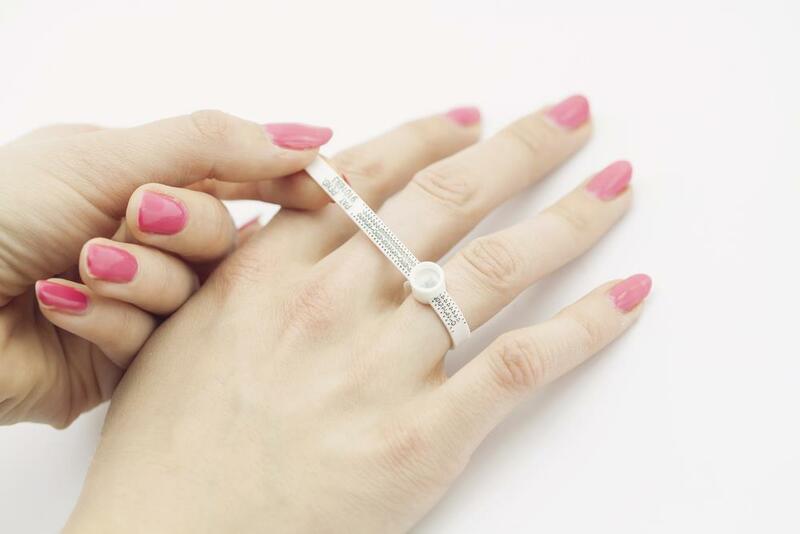 This is because it’s easier for jewelers to make a ring smaller than it is for them to make a band larger. So, if there’s no good way to find out your lady’s true ring size, getting one that is slightly large is definitely the better option. These creative ways to find out your significant other’s ring size make it easier to get the information needed without tipping her off on what’s to come! Take the time and make the effort to keep this big moment a secret to pull of the ultimate surprise when you get down on one knee. It’ll be worth the planning, sleuthing, and inquiring to create this unforgettable moment.